Of course, not all jobs have the same visual conditions. Some are in a dimly lit shop, others are out in the bright sunlight, and you’ll still want to be able to see clearly in normal light. Rather than buying multiple pairs of pricey prescription safety glasses, you can invest in something a little more useful and versatile instead. Changeable safety glasses with multiple lense components that can easily switch in and out are the perfect solution to the variable work environment question and no one does changeable prescription safety glasses like Wiley X. With multiple sleek and practical designs that come with their own interchangeable inserts, here are our favorite top five Wiley changeable prescription safety glasses. While you can’t judge a pair of glasses by their name, the Talon line of safety glasses certainly makes one think of birds of prey and wearing them, your eyesight will be just as good. The Talon line of safety glasses is made in a classic half-rim design. The lenses are made to meet the ANSI Z87 1-2003 high velocity safety standards and the best part is that you get two different prescription lens inserts. One set of lenses are shaded like sunglasses allowing you to work safely in bright sunlight while the alternate lenses are clear so you can work indoors and on cloudy days without sacrificing visual clarity. Both the nose and ear pieces are adjustable with a wire core so you can reshape them to fit any shape or size of face. Another fiercely named line of safety glasses, the saber is another fantastic example of a pair of incredibly versatile frames. Along the lines of their favorite design, these are also half frames in which the lenses are mounted on a single temple and forehead band and meet the MIL-PRF-31013 ballistic standard. The Saber’s unique design includes a foam strip along the forehead band to prevent both sweat and debris from getting into your field of view from above and the earpieces are completely customizable. Those earpieces that come with the glasses can be removed and replaced with either longer or shorter earpieces or a tactical elastic strap for a guaranteed no-slip work experience. The Saber comes with three lens inserts, one in smokey gray like normal sunglasses, one in light rust for enhanced depth perception, and one clear prescription lens insert for everyday indoor work. ly cooperate with this style of safety glasses. The PT-1 conforms to both the ANSI Z87.1-2003 high velocity protection and the MIL-PRF-31013 ballistic standard. This particular set of prescription safety glasses are designed to reduce backlit glare from bright lights behind you that could reflect into your eyes and they come with all three standard lens colors including smokey gray, light rust, and normal clear prescription lenses. When looking at the specs, there’s no denying that the Vapor deviates from the norm of even these incredibly versatile safety glasses. The first difference about the vapor is the double injected frame designed to be incredibly lightweight. This allows you to sport incredibly sturdy safety glasses without the usual weight on your nose bridge and ears. Next, the wrap-around design adds an unusual amount of peripheral vision which will help you avoid tunnel vision on the job and maintain safe environmental awareness. Beyond just the shape and material, let’s talk lens safety. Lenses for the Vapor are made of shatterproof selenite TM polycarbonate that meets an astounding number of safety standards. For ballistic protection, you have the MIL-PRF-32432(GL) standards of defense and for impact resistance, they qualify for the ANSI X87.1-2010 high velocity and high mass impact standards and EN.166FT high-velocity impact standards at extreme temperatures. Finally, beyond the strength of the actual lenses, they are also equipped with industrial strength anti-scratch coating, foil tm anti-fog coating, and 100% UVA/UVB protection with distortion-free clarity. And if all that isn’t enough, they also come in three interchangeable prescription lens colors. Ever want a pair of safety glasses that look more like really cool shades than work gear? If this is your dream, then the Romer is exactly the pair for you. The Romer model is built with all the same advanced specifications as the Vapor, but the shape and impression are completely different. Built like classic shades with two distinct lenses and a nose bridge in between, these glasses have a subtle wrap-around design for sleek and safe activity at work, home, or even out playing sports. The lenses themselves are made from shatterproof selenite polycarbonate and meet the MIL-PRF-32432(GL) ballistic standards along with the ANSI Z787.1-2010 high velocity and high mass impact standards and the EN.166ft high-velocity impact standards at extreme temperatures. 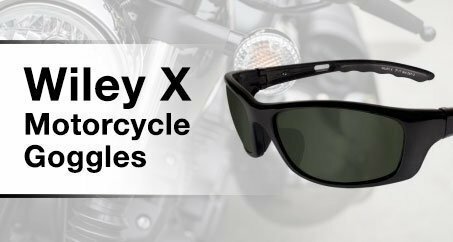 With advanced scratch, fog, and UV protection, these shades will last you for years through any job or adventure you can think of and come out the other side without a scratch. Changeable prescription safety glasses are an amazingly versatile tool to have available at work, in the shop at home, or out doing extreme recreational activities like rock climbing or dirt biking. No matter what conditions you find yourself in, you’ll always have the right color of lens to slip into your lightweight, comfortable, and incredibly practical Wiley X frames and if you ever want another set of lenses, you can always order them separately to create a complete interchangeable kit. 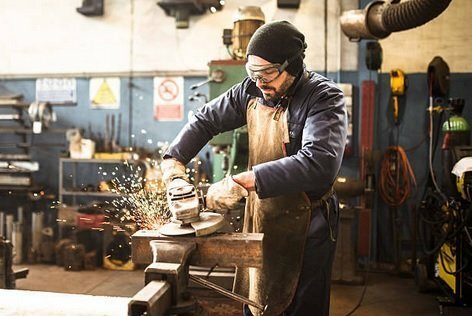 Whether you’re looking for prescription safety glasses to wear at work or are starting a new hobby in your garage, nothing beats Wiley X for durability, versatility, and style. For prescription safety glasses that will last for years becoming increasingly useful with every additional lens option your collect, you can’t go wrong with one of these five amazing models. For more information about Wiley X prescription safety glasses, contact us today! For the first of our models not named after a predator, the PT-1 is a special design for enhanced utility. While the PT-1 follows a similar half-frame design, each individual piece is subtly different. The lenses themselves are designed to wrap further around the head to provide greater peripheral vision and the ‘take-flight’ nose piece allows you to adjust for any nose bridge size or shape making these a surprisingly comfortable option even if your nose doesn’t usually cooperate with this style of safety glasses. The PT-1 conforms to both the ANSI Z87.1-2003 high velocity protection and the MIL-PRF-31013 ballistic standard. This particular set of prescription safety glasses are designed to reduce backlit glare from bright lights behind you that could reflect into your eyes and they come with all three standard lens colors including smokey gray, light rust, and normal clear prescription lenses.